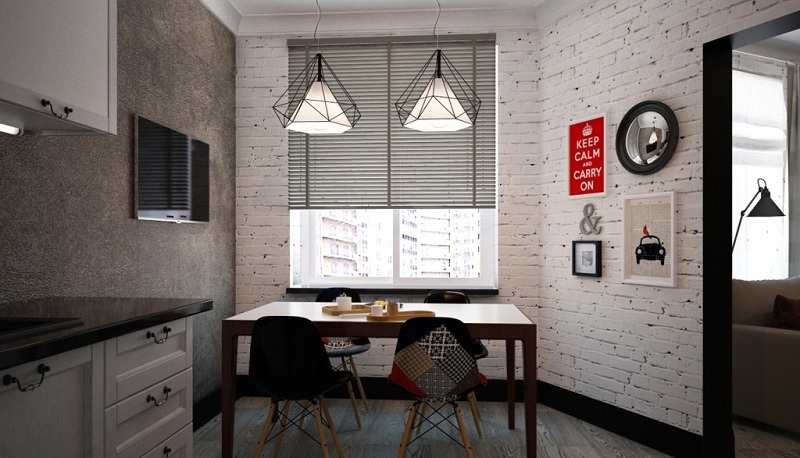 The design of the walls in the kitchen should be focused not only on creating a warm, cozy home atmosphere but also on resistance to regular, extremely unfavorable external influences. For the interior to keep its original appearance for a long time and always look like new, it is important to choose the strongest and most resistant building materials. 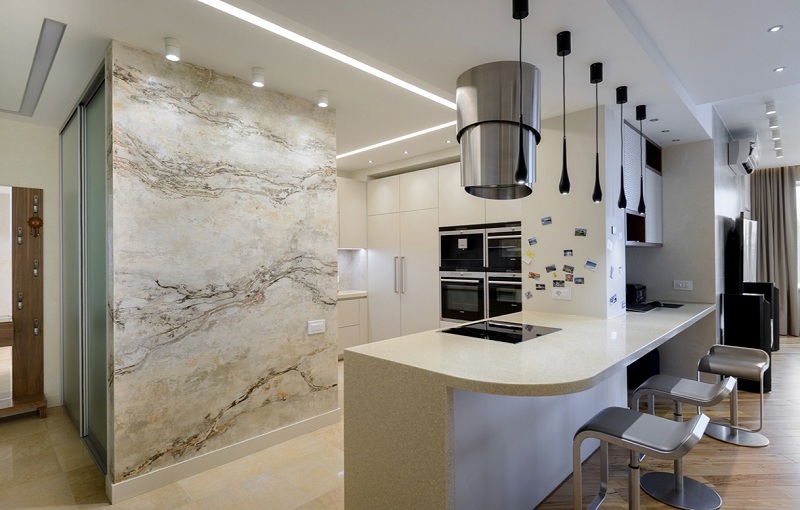 One of the most reliable options for decorating walls in the kitchen is decorative plaster – a thick pasty composition containing sand, granite, marble or other blotches of different fractions. It is on the number and structural features of these fillers that the effect obtained with the help of the mixture depends. The best option for finishing the kitchen is considered to be an acrylic based mixture. It has the highest resistance to steam and sharp temperature changes. Acrylic prevents mold. It absolutely does not absorb kitchen odors, repels dust and soot, thanks to which walls can be easily cleaned with a regular sponge without the use of aggressive cleaning products or degreasers. Using the described mixture, you can create an absolutely unique interior: each specific type of coating sets only the type of texture while allowing you to achieve a completely different effect by performing various techniques of applying the finishing layer of the composition. The final texture of the walls will depend on the length, nature of the strokes and the tools used. Decorative plaster can be applied in a horizontal, vertical direction, randomly or completely in a circle – in this matter absolutely any wishes of the owners of the house are allowed. And with high qualifications of masters and a sufficient kitchen area, you can make a real work of art there. When choosing the texture you like, it is important not to forget that, first of all, it should be in harmony with other surfaces and elements, and should correspond to the size of the kitchen itself. The larger the area of the decorated room, the deeper and more textured the structure of the coating can be. A variety of compositions and a huge number of variations of their colors allow you to create an interior in any style. Deep texture (“Africa, craquelure and the well-known bark beetle). Mixtures of this type contain large-sized blotches that allow you to create visible grooves and indentations on the walls, achieving the effect of crocodile leather, natural wood, old, cracked or wooden surfaces. Imitation of natural stone. To give the walls a soft, iridescent shade, plaster is used that contains the finest granules of limestone. 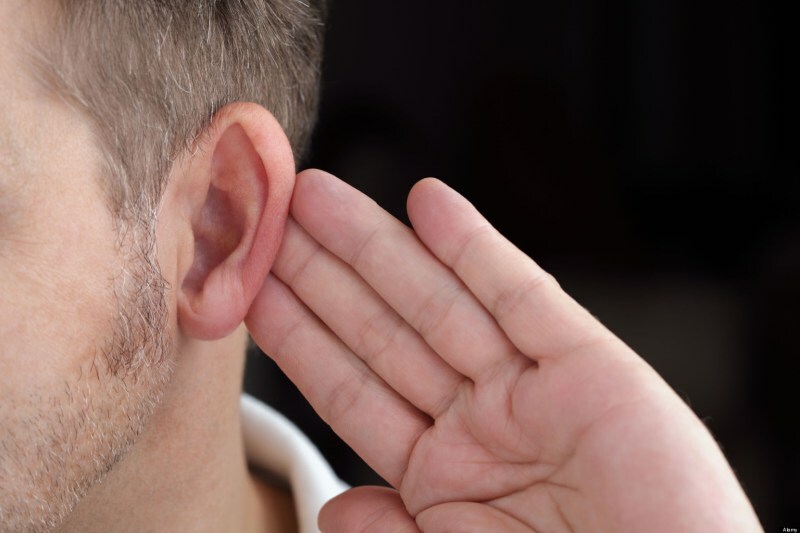 The surface can be both smooth and rough. 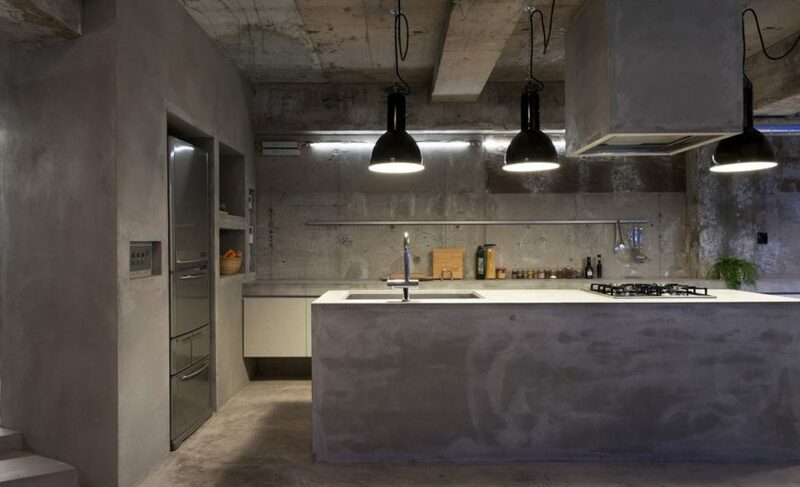 The visual analog of concrete is the composition of a deep gray tint with inclusions characteristic of industrial surfaces, creating the effect of cold walls. 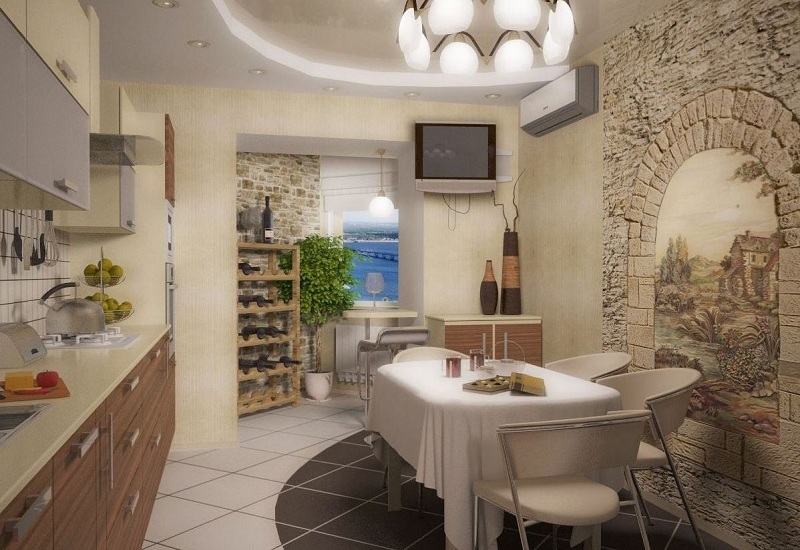 This type of decoration can be used in the design of the kitchen in the style of a loft or high-tech. Stencil application. To create a three-dimensional pattern, a more complex technology of applying the mixture is carried out, when the desired pattern is scratched over the finished coating using the stencils. Such a finish is most appropriate for the design of the overall rooms, but with the right approach can be applied to create a noble interior in the kitchen. Silk surface. To give the walls a soft fabric effect, textile microfibers are applied over the finished mixture. They allow you to create a decor that is radically different from any analogs. 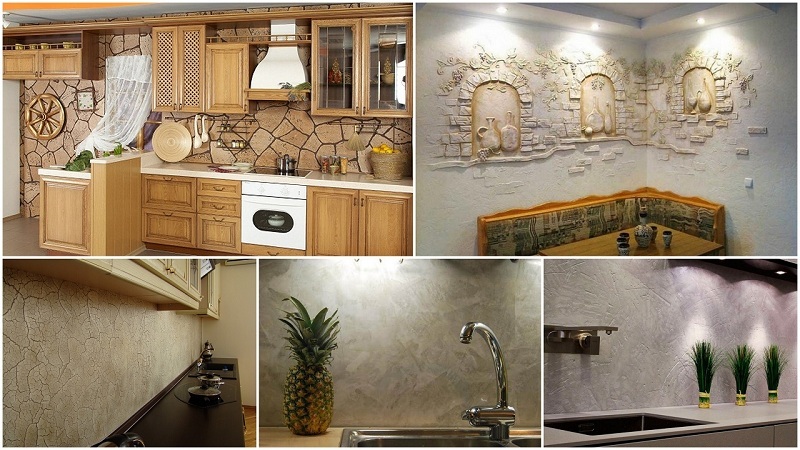 When choosing decorative plaster for the interior design of the kitchen, it will not be superfluous to know that this type of decoration is applicable not only for walls. Thanks to its excellent performance and unsurpassed tenacity to the surface, the ceiling, fireplace, arches, and any other projections can be treated in the same way. 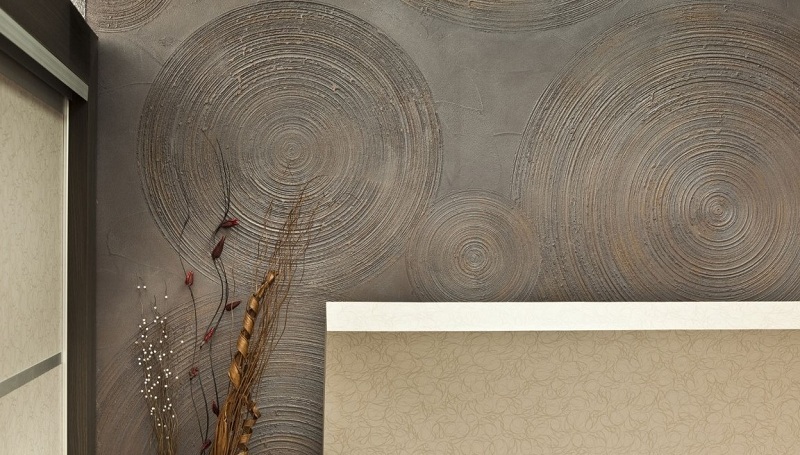 Regardless of the type, decorative plaster is characterized by a clear application technology. It is applied only on smooth walls, on top of a primer compatible with it, in several stages. The depth and intensity of the pattern directly depend on the number of applied layers. Therefore, all finishing work associated with the imposition of this coating, it is better to entrust the professionals. But to repair chips and dents, resulting from careless use or banal shrinkage of the walls, you can independently. To do this, you only need to decrease the treated areas and apply only the finishing layer of the mixture on them, the shade of which should clearly correspond to the original color pigment. Until the composition is dry, you can give it the desired texture. Such simplicity in the alignment of defects will allow you to enjoy the impeccability of decorative plaster over the years!